Act of Valour hits our screens at the end of next week, having opened in the US Box Office at Number One. Following the praise the film has received for its high-adrenalin fuelled action sequences, featuring some seriously impressive firepower, we take a look back at some of the most explosive, thrilling and realistic shoot-outs to have graced the big-screen. 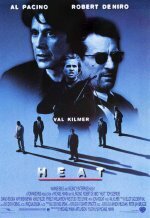 The Downtown Bank Robbery - Michael Mann’s 1995 crime drama Heat brings one of the best gunfight scenes in history to the big screen. Throughout most of the scene there is no music and Mann shot with documentary-style camera angles. What the scene does have, is deafening and pulsating sound, impressive attention to real-world tactics and lots and lots of shooting. The police fire more carefully and are always on semi-automatic since their objective is to kill or wound De Niro's team, while Val Kilmer and De Niro recklessly spray the streets with suppressive fire to keep the police pinned down so they can move to safety. Director Michael Mann captured the reality and speed of a battle after a heist gone bad between practiced, motivated and well-armed criminals and a metro-sized police force. All the LAPD cops can do is to hide behind their cars and wait for the shooting to stop while Pacino and his team try to pin the robbers down. The "Heat" shootout has a level of authenticity that many of the other shootouts lack. For pure excitement, firepower and realism, nothing else comes close. The lobby shootout - Keanu Reeves makes dodging bullets look like child’s play in The Matrix. In 1999, the Wachowski brothers transformed film battle scenes with their depiction of the epic lobby shootout with camera techniques that coined the visual effects term “bullet time”. 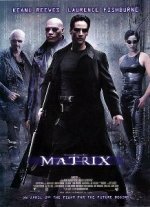 Neo maybe the chosen one in the film, but his female accomplice Trinity shows the boys how it’s done when she disarms an agent and shoots him in the back with his own gun. Even though the lobby scene doesn't feature the now infamous bullet-time or time-slice technology, it still stands out. A gunfight with that much firepower indoors should make a significant impact on the environment, and the way the walls and columns just disintegrate throughout the fight goes a long way to making every bullet feel real. The composition of the heroes in that claustrophobic space and the way that camera follows them as they effortlessly glide through it creates a unique scene that is often parodied but never duplicated. Tony’s last stand - “Say hello to my little friend” is one of the most memorable movie lines of all time, making Tony Montana royalty amongst on-screen villains. 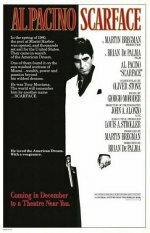 The famous quote from Scarface is the introduction to an epic gun battle inside of Tony’s mansion that includes a shot of him standing at the top of a grand staircase gunning everyone in his path down. Rather than hide in his office, he grabs the biggest gun he has and blasts his way onto the balcony like an immortal. He doesn't even take cover when he needs to reload. It's only when he's shot again that he finally drops and gets pinned down. Once he gets his attackers on the run he starts shouting insults rather than seeking a more strategic position. 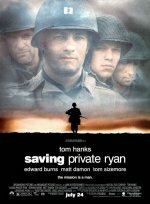 D-Day landing sequence - Saving Private Ryan takes action scenes in war films to a new level with its opening D-Day battle sequence. The film tells a moving story of the honorable men who put their lives on the line for duty and wows audiences with action-packed scenes that follow soldiers behind enemy lines. 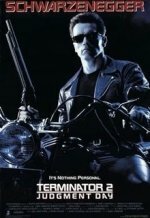 Cyberdyne Shootout - Arnold Schwarzenegger vowed, “I’ll be back,” in the 1984 original and he kept to his word for the sequel which sees the cyborg unleash the firepower of a Gatling gun on an entire police force. The impressive part is that he manages to not kill any of them as promised to John Connor. When it comes to action-sequences, director James Cameron is a master as proved by this thrilling sequence featuring plenty of firepower. The Train Station Staircase - Set in Chicago’s Union Station, the sequence was inspired by the Odessa Steps scene in the Russian film The Battleship Potemkin from 1925. A slow-motion build up makes the action that much more thrilling as the gun blaze manages to miss an innocent baby. Compared to De Palma’s other entry in the top ten "Scarface", the gunfight in "The Untouchables" is a ballet employing slow-motion and dramatic tension to amazing effect. 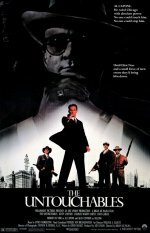 The train station shootout between Eliot Ness and the gangsters escorting the book keeper isn't just another shootout in slow-motion, it's an excellent example of De Palma's signature tension-building filmmaking. There may not be all that much shooting, but it's one of the rare scenes where every gunshot has the possibility for consequence. They can (and do) hit good guys, bad guys, the baby carriage, civilians and the surrounding environment, so while it may be light on bullets, it is heavy on tension and drama. 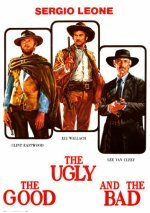 The Mexican Stand-off - While the entire film is epic, Leone's big payoff scene is an exercise in minimalism; the Mexican standoff spans six minutes but nearly five minutes of it is devoted building the suspense and anxiety before the guns are finally drawn. Leone uses his trademark wide angle shots and facial close-ups, both of which are commonly used today, to frame the mounting tension. The Hospital - To call the hospital shootout an absolute bloodbath would be a gross understatement; there are 146 on-screen deaths during the hospital finale. 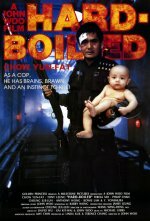 This was John Woo's last Hong Kong film before he came to Hollywood, and the director pulls out all the stops for this grand finale by using all his time-honored techniques - exquisite slow motion shots; frantic real-time action; and best of all, impeccably choreographed action with acrobatic gunplay. The final 30 minutes of the film are absolutely relentless and filled with the type of edge-of-your-seat thrills that are harder to come by these days. This movie cemented John Woo's legacy as perhaps the best action director every to hold a camera. The Gunfight at the O.K. Corral - Wyatt Earp, Doc Holliday and the legendary gunfight at the O.K. 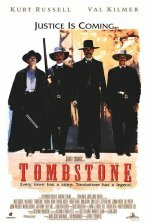 Corral have received a number of big-screen treatments over the years, but none is better than in "Tombstone." You know the story by now: Earp and his brothers Virgil and Morgan, along with Holliday, head to the O.K. Corral to disarm members of the Clanton Gang. By most accounts, what follows is a fairly faithful representation of the real thing. The scene is played quickly and lasts less than a minute (the real gunfight is estimated to have taken approximately 30 seconds). The gunfight, which takes place on a small, empty lot only about 18 feet wide, feels intimate and even claustrophobic at times. Most of the shots are fired at a range of 10 feet or less, and you feel every bullet. Blaze of Glory - Peckinpah's climactic fight when the Bunch go to rescue Angel from Mapache employed rapid cutting techniques, slow-motion shots of men being shot, blood spray from bullet wounds and pioneered the "long walk," which is now commonly referred to as "the Wild Bunch shot." 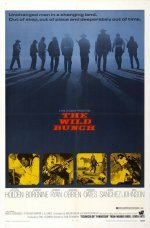 "The Wild Bunch," and specifically this scene, redefined violence in Western cinema and went on to inspire everyone from John Woo to Michael Bay. When watching the shootout now, the violence doesn't shock anyone like it did back then and the filmmaking feels almost clichéd, but it's the context that is important. At the time, no one had ever seen anything shot like this, and even compared to modern films, the action is exciting and beautiful.